Keep your little tyke's toes from burning up on the hot sand with the Reef Slap II Toddler Boys' Sandal. 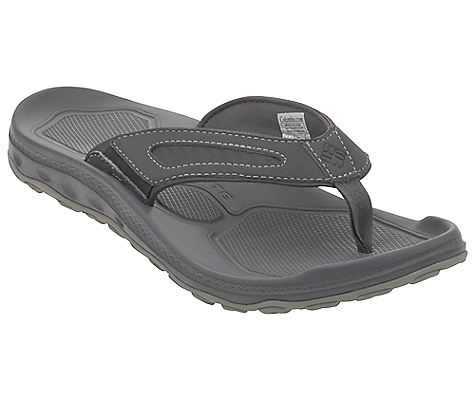 The soft EVA footbed will keep his feet comfy throughout the day, and the back heel strap prevents him from slinging his sandals into the sea when he gets excited. 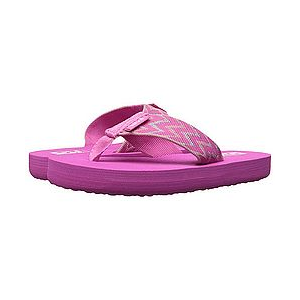 Made with soft synthetic-nubuck uppers that have jersey linings, Reef Youth Slap II Flip Flops let your child enjoy the summer in relaxed, uninhibited comfort. High-frequency welded accent and logo adds a bit of flare. Soft compression-molded EVA footbeds with anatomically correct arch supports provide excellent cushioning. Imported. Avg. wt: 0.4 lbs/pair. Youthsizes: 9/10, 11/12, 13/1, 2/3, 4/5 medium width. Color: Black/Grey. Size: 11. Color: Black/Grey. Gender: Male. Age Group: Kids. Material: Jersey. 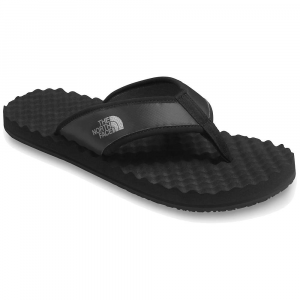 Type: Sandals. Ready to keep step with ambitious feet, these Reef Slap II boys' flip-flops feature plenty of comfort and cushioning for all-day wear. Synthetic leather strap uppers with polyester jersey linings wrap feet to keep them secure, cool and comfortable. Anatomic EVA footbeds cradle feet for comfort; EVA midsoles cushion feet by absorbing shock. 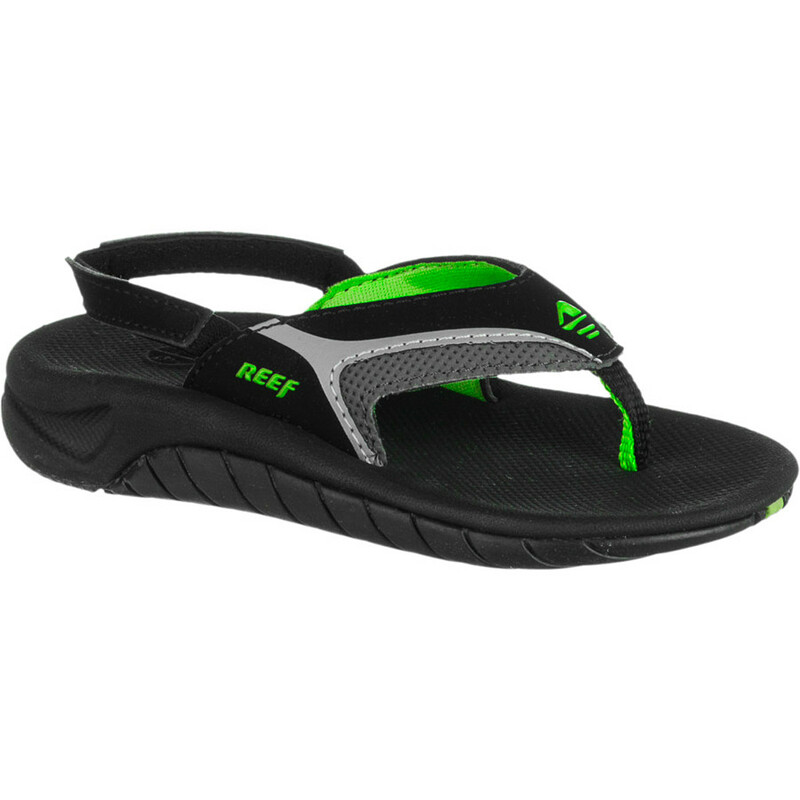 Reef Slap II boys' flip-flops have high-density rubber outsoles to offer lasting traction on a variety of surfaces. . 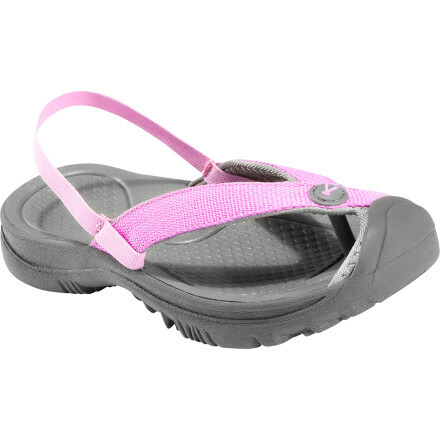 The Reef Kids' Slap II Sandal is not available from the stores we monitor. It was last seen January 9, 2018	at Backcountry.com.